Metrocable is a finalist for the WRI Ross Prize for Cities. 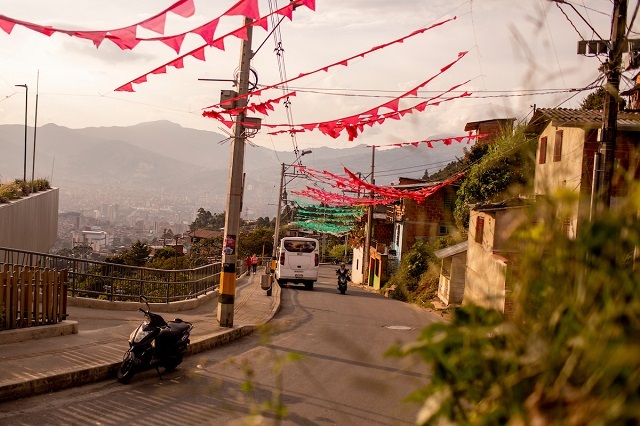 Medellín, Colombia, used to be the murder capital of the world. With the explosion of the global drug trade in the 1980s, crime burgeoned, plunging the city into a state of lawlessness. Slum communities, stacked up along the perilous slopes of the surrounding Aburrá Valley, were on the front lines of the violence and mayhem. Such a transformation always involves many moving parts, but much of this turnaround can be credited to the development of a new transit system and associated public investments that encouraged stronger community bonds in key neighborhoods and helped reconceptualize what it means to be part of the city. From the start, the city understood that without community buy-in, it could not achieve the objectives of the project. 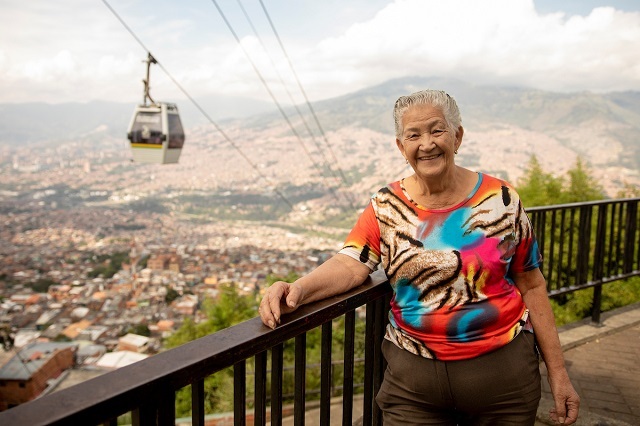 In an effort to overcome community fragmentation from decades of violence and minimal positive state presence, social workers from Metro de Medellín fanned out to run workshops and gather data on how people lived, moved and associated with one another in some of the city’s poorest neighborhoods. As the launch of the first line, Line K, approached in 2004, Metrocable intensified social outreach to ensure residents understood how to use the system responsibly. Social workers engaged more than 40,000 people. Citizens saw the benefits of Line K very quickly. New businesses opened around its four stations, land values increased and the city invested in over 40,000 square meters of public space for playgrounds and parks. 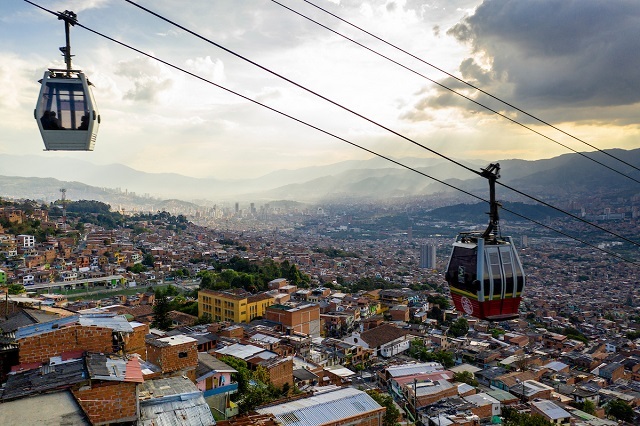 Commute times and costs dropped dramatically, since residents could now skip over the warren of streets coming down the valley and connect directly to Metro de Medellín’s existing bus and rail network without paying multiple fares. Residents’ access to jobs and opportunities increased.